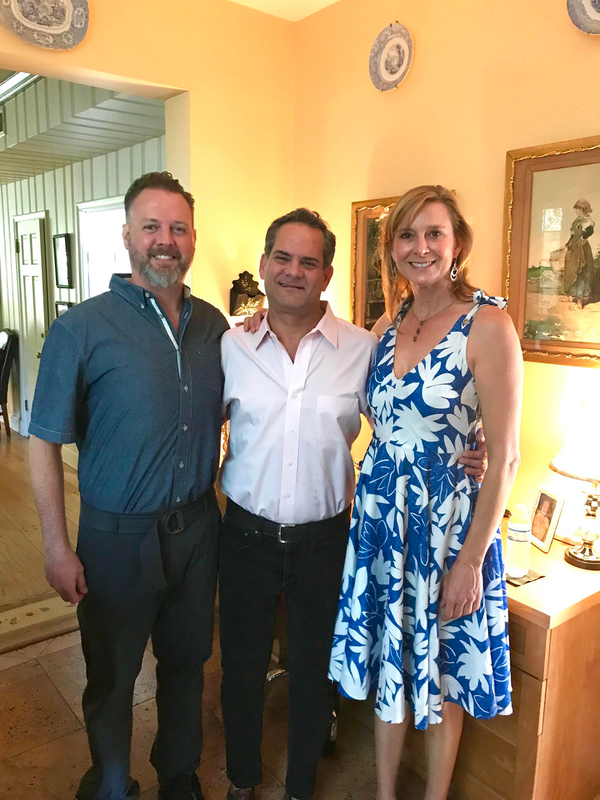 Recently, the home of Dr. Cynthia Brinson in Austin was the setting where several dozen Sociables and GLBTQ community leaders. They were gathered to ensure the memory of KUT and KOOP personality Stephen Rice lives on for generations to come through the Stephen Rice Memorial Scholarship Fund. As the summer-chic attired crowd mingled about in Dr. Brinson’s home, the attendees could feel the love, warmth and presence of Rice. Guests shared their favorite memories of Rice while sipping his favorite cocktail, Deep Eddy Ruby Red Vodka and soda. The festivities continued as Rice’s husband Mark Erwin and Heath Riddles, former co-host of Outcast on KOOP Radio with Rice, welcomed the crowd and read a recently discovered letter Rice wrote to himself that perfectly captured his essence that brought the crowd to tears of both sorrow and joy. The event concluded with a toast in Rice’s memory.